Special Needs Planning - William King Self, Jr.
Special Needs Planning is usually needed to protect government benefits of a loved one with a developmental disability or who has suffered a disabling event. Gifts and inheritances received by a person with a disability can easily disqualify him or her from eligibility for SSI, Medicaid, or other government benefit programs. Appropriate special needs planning can protect gifts and inheritances that can enhance the quality of life for the loved one without jeopardizing availability of needs-based benefits. Special needs planning may involve both trust and non-trust solutions. Special needs trusts can protect the assets received from personal injury settlements and excess assets that would otherwise disqualify the individual from critically important SSI, Medicaid, or other needs-based benefit programs. 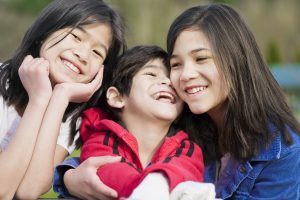 Special needs trusts may be critical in divorce proceedings to protect settlements and child support, particularly after a disabled child reaches adulthood. Learn more . . .